CHICAGO, IL — To proactively engage and deliver value to customers, SpotMe is kicking off its first client advocacy program with Ashfield Meetings & Events by focusing on customer experience, expansion and advocacy. Pierre Metrailler, CEO of SpotMe along with Andrew Moore, Client Partnerships Director at Ashfield Meetings & Events will be implementing a healthcare-focused program to the meetings and events teams in Indianapolis, IN and Ivyland, PAas well as the healthcare communication teams in Lyndhurst, NJ over the next five days. Pierre and Andrew will deliver over 12 hours worth of training to all levels on the event management team from senior leadership, marketing and sales teams, account and project managers, business developers and creative and production teams. “Customer experience is a top priority for SpotMe and Ashfield Meetings & Events. 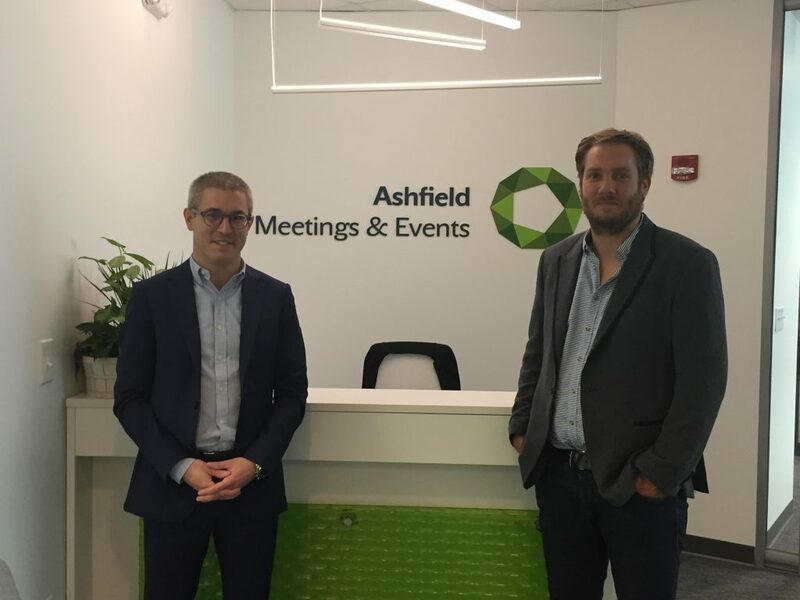 I am thrilled to integrate Ashfield Meetings & Events into our platform, vision, product launches, and learn from their ideas and healthcare expertise to better improve our technology and serve our existing clients.” Pierre Metrailler, CEO of SpotMe. In conjunction to this program are one-on-one sessions with strategic leadership, including Gavin Houston, CEO of Ashfield Meetings & Events Americas, focusing on potential new healthcare solutions for key clients. SpotMe and Ashfield Meetings & Events partnership has been pivotal in identifying and evaluating new technology to support and enhance the effectiveness of events such as the new navigation behavior tool that was released in January. Click here to learn more about Ashfield Meetings and Events.